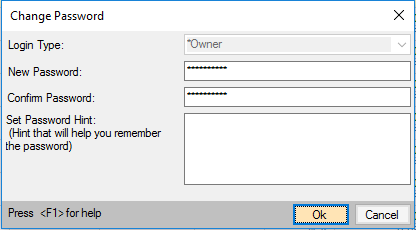 How to add login password to MProfit application? You can secure your MProfit Data by giving the login password. We recommend you to enter the password hint or note the password somewhere in safe place as it can not be retrieved if you forgot. 1. 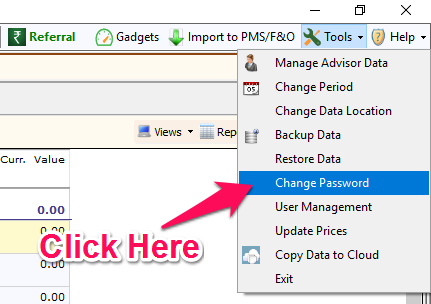 From top right corner go to Tools > Change Password. 2. Enter the New Password, confirm it by re-entering and click on OK.
1. From top left corner go to Manage > Settings > Access Management > Set Owner's Password.